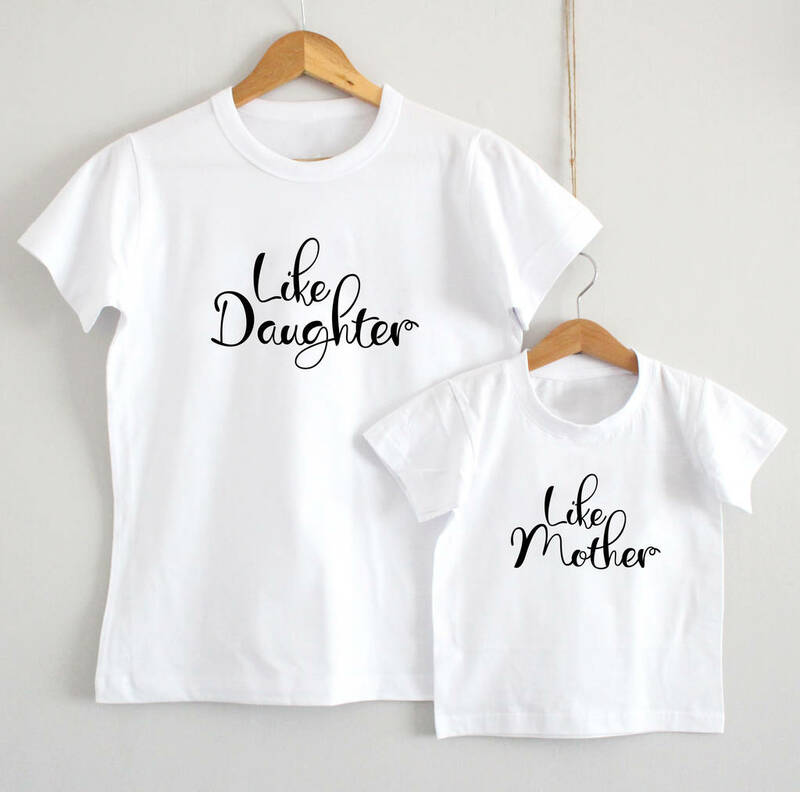 Like Mother Like Daughter T shirt set. 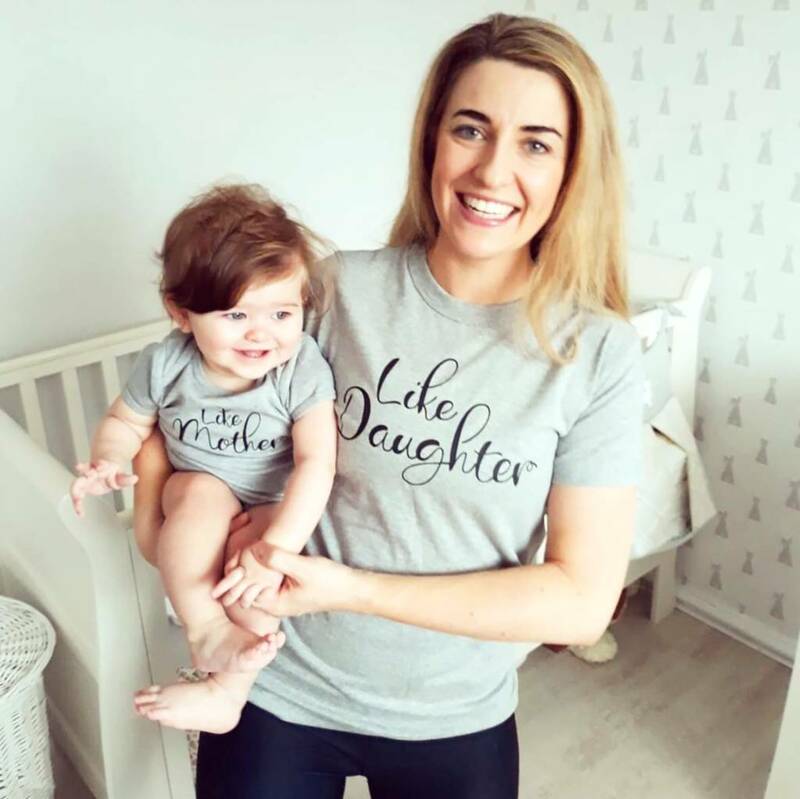 Our 'Like Mother, Like Daughter' T shirts make the perfect gift for New Mums or as a gift for Mothers Day, Mum's Birthday, or Christmas. 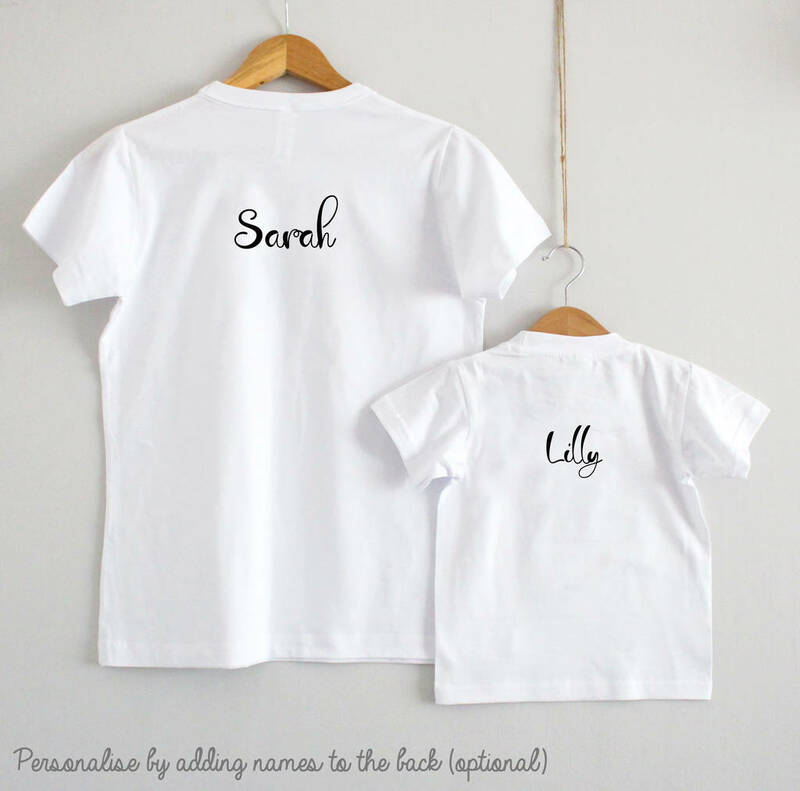 Personalised your set by telling us the names you would like printed on the back of the T shirts, and selecting your T shirt colour and print colours! Our baby sizes start from 0-3 months, so they make a great gift for baby showers! We also offer gift wrap, so we can send direct to the recipient for you...or just save you the hastle of having to wrap your gift. T-shirts and babygrows are 100% soft touch cotton.